During intraday trading, company's shares on Monday rose close to 20 per cent to touch a high of Rs 53.85 a scrip on BSE. 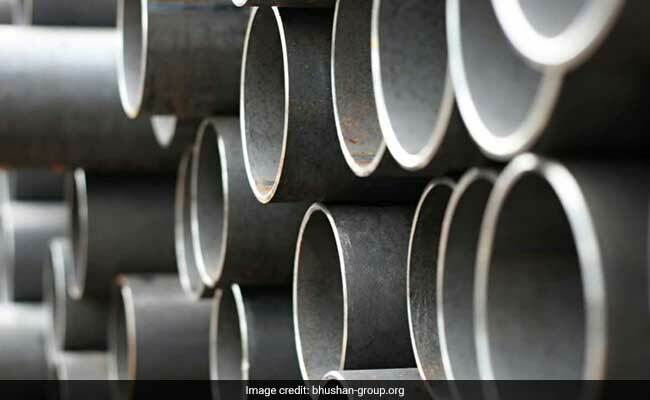 Bhushan Steel owes Rs 56,000 crore to its financial creditors. Kolkata, Feb 19 (IANS) Debt-laden Bhushan Steel Ltd on Monday said Tata Steel, JSW Living Pvt Ltd and employees of the company have submitted resolution plans to take over its assets. "We wish to inform you that as part of the resolution process, the resolution professional (RP) has received resolution plans from Tata Steel, JSW Living Private Ltd and Employees of Bhushan Steel Ltd," it said in a regulatory filing to the stock exchange. During intraday trading, company's shares on Monday rose close to 20 per cent to touch a high of Rs 53.85 a scrip on BSE and eventually closed at Rs 53.80. "Once the resolution plans are identified, another meeting of CoC will be convened to present the compliant plans for the consideration of the CoC," the firm said.